Our customers really loved the budget status charts on our campaigns and asked if we could do the same thing for expense buckets. We loved the idea and just finished adding them. This means that when you look at your Plan Detail page, you can immediately see how much is available in each expense bucket. 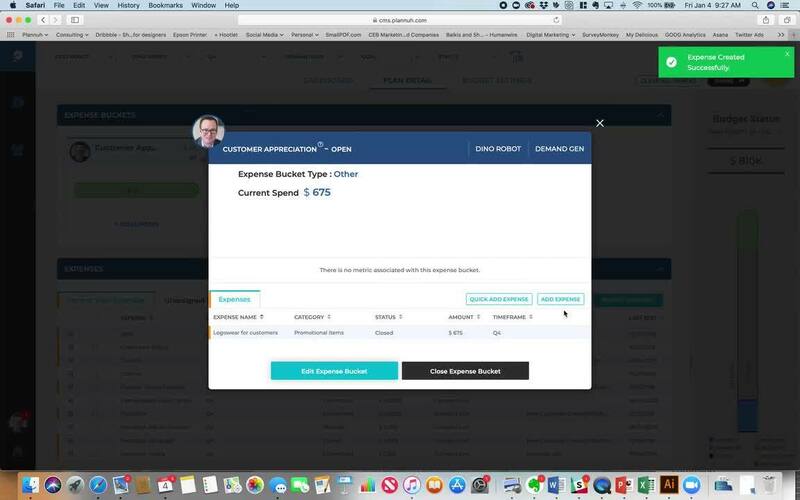 When you are viewing the detail of a campaign or an expense bucket, you can now select "quick add expense" and create a new expense without leaving the summary view. This is a great productivity boost while you are adding expenses. In the past, you couldn't move an expense from one part of your budget to another. We added the ability to quickly and easily move expenses. See the details in the video below - and let us know what you think about the new features!